Some students want to be electricians and they only need a two-year program for that, so the fact that the goal was just to get students to pursue higher education at any level, I really resonated with that. Esquivel wants to share information that can help students stay on track, and she recently completed a year-long capstone internship aimed at helping with the transition into college as part of her studies in the University of Washington College of Education. For one project, recent graduate Esquivel jointly created web-accessible checklists aimed at the transition phase in students’ lives as part of an effort to combat the phenomena. The lists walk students through each step they need to complete between high school graduation and their first day of college. She said having guidelines—the transition checklist—helps students feel supported by providing information such as which forms to fill out and where to go to set up counseling appointments. Now an academic advisor at the University of Washington, Esquivel continues to support students as they plan for paths they’re passionate about. She uses her own experiences as a first-generation student from a low-income family as her guide. Building those networks once in college was a struggle, but her time as an undergraduate led directly to her interest in helping other students. “I do think there was a lot of support that I had, but had I had it sooner, I could have figured out, ‘Education is what I want to do,’ in my first year,” Esquivel said. She eventually found a passion for working with students who were trying to get to the UW and enjoyed igniting an interest in students to pursue their education as far as they wanted. The Education, Communities and Organizations (ECO) major in the College of Education turned out to be a perfect fit. The capstone internship with the Puget Sound College & Career Network, which supports school districts and colleges across the region in helping students access higher education, allowed her to put all of her new knowledge into practice. Critical to her studies at the College of Education was financial support. Esquivel received an ECO Engagement Scholarship which provided support for her work on equitable community engagement during the year-long, capstone internship. The scholarship compensated for the time, allowing her to pay rent while still completing the program. Esquivel also received the Kenneth and Irma Mathisen Fellowship, which will give her a jumpstart as she enters the College’s Leadership in Higher Education graduate program. 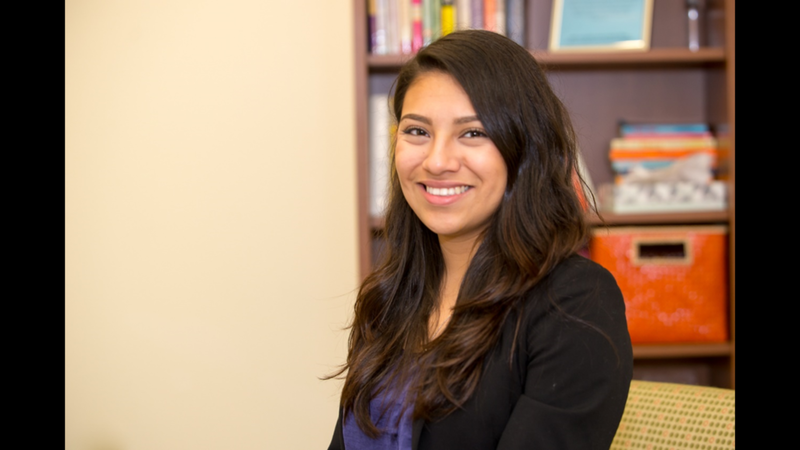 As she heads into graduate school, Esquivel looks forward to discovering new opportunities to partner with communities, connect students to the UW, and guide students through academic advising to help them achieve their goals.